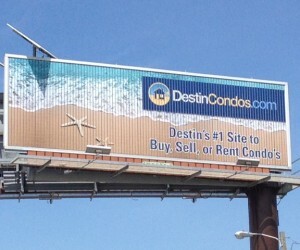 DestinCondos.com is one of the leads Destin Florida vacation rental sites in the marketplace. DestinCondos.com features condos from many different owners and management companies along the Emerald Coast allowing you to choose from many of the finest vacation rentals the Destin area has to offer. You can easily narrow your search with their proprietary “DC SHOPPER” which let’s you find exactly what you’re looking for at the best possible rental rates. Viewing photos, rental calendars and even videos of the rental units is simply a click away and contacting the owner takes just seconds. We feel like DestinCondos.com is the #1 site to help you find the best vacation rental for your family, and we invite you to let us prove it to you!